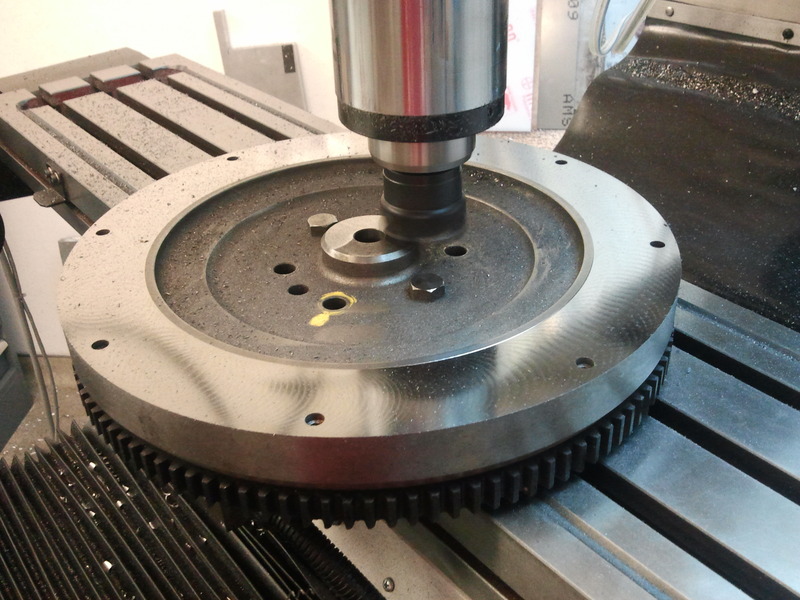 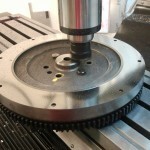 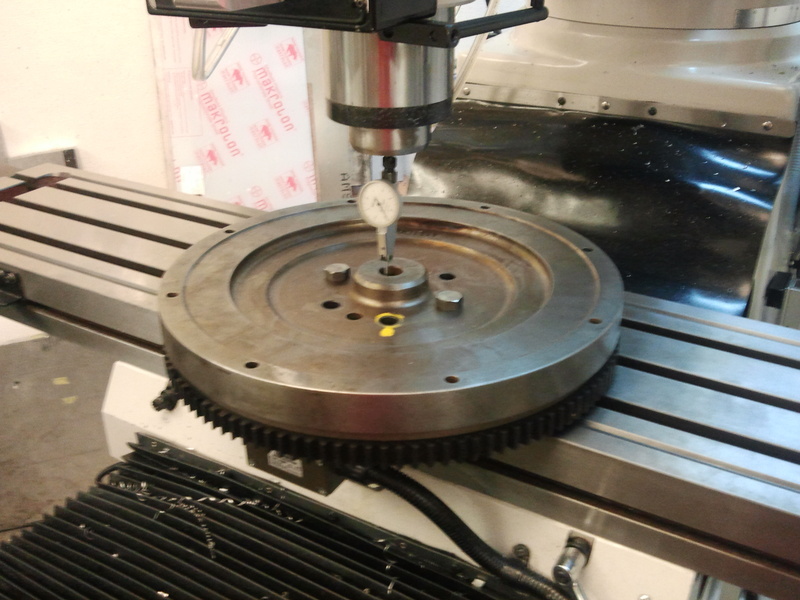 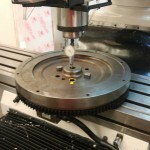 After leveling and indicating the flywheel on the mill, I started off by machining the outer rim and pilot boss to the new crankshaft to flywheel face dimension I had calculated. 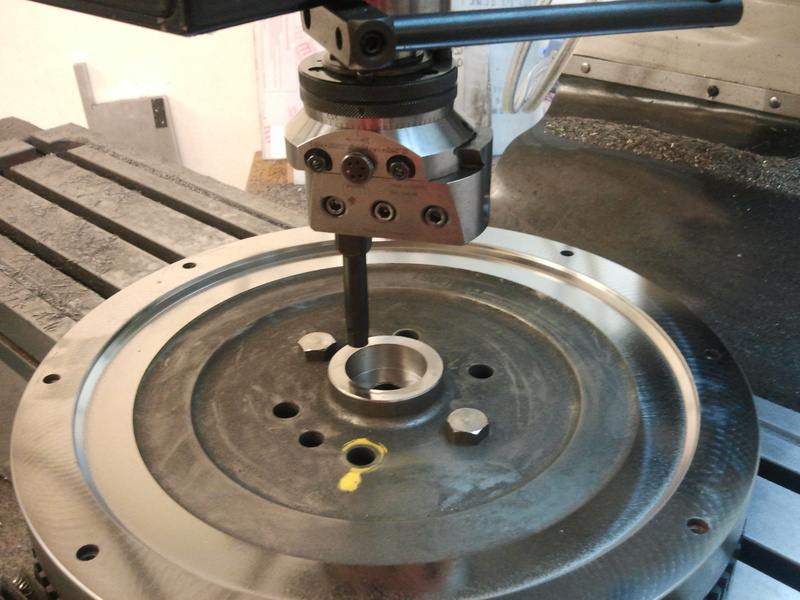 Once again, this took almost all of my machine travel in the Y direction. 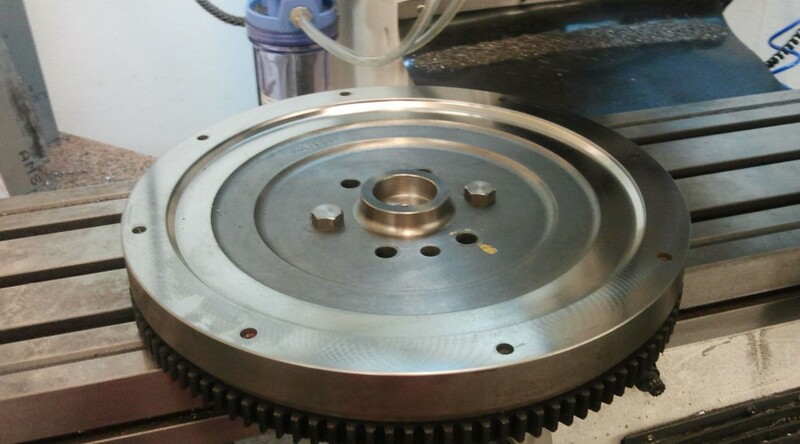 Next a recess was cut to provide clearance for the flexplate and the pilot bore was enlarged to fit the torque converter alignment boss. 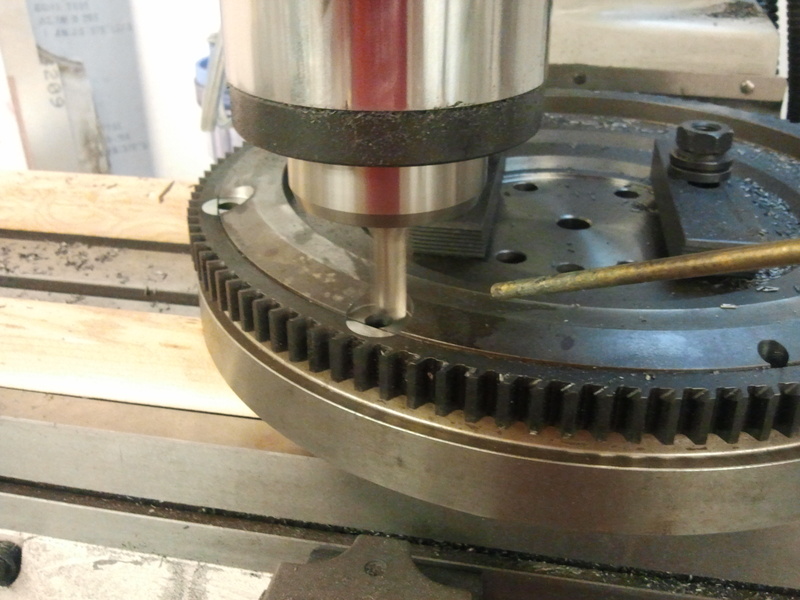 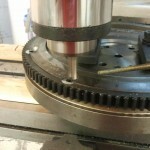 Finally, the flywheel was flipped and new torque converter bolt holes were drilled and counterbored. 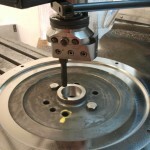 Total material removed was about 4lbs.